Today sees the start of a brand new travel series over here and I’m so excited to share it with you…. My City (With Kids!) is the brand new series. The concept is that I will be inviting various international travel bloggers to share their top things to do with kids in their home town – the idea is that these posts will help you to plan or inspire your next trip. I’m kicking off today with a guest post by Kirsten Maxwell from Kids Are A Trip who calls Chicago home. Chicago is a beautiful destination to visit any time of year. 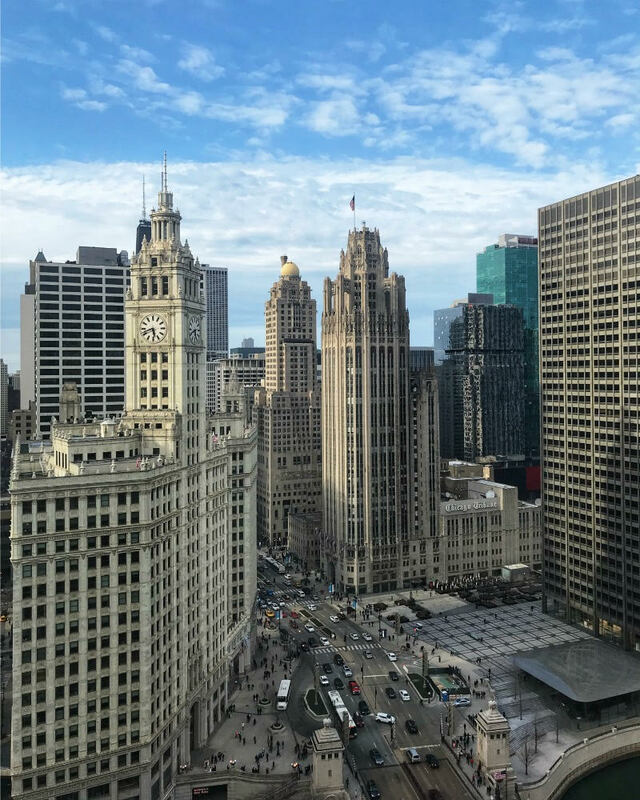 One of the largest cities in the United States, it has world-class museums, twenty six miles of beachfront along Lake Michigan, and top notch dining options. 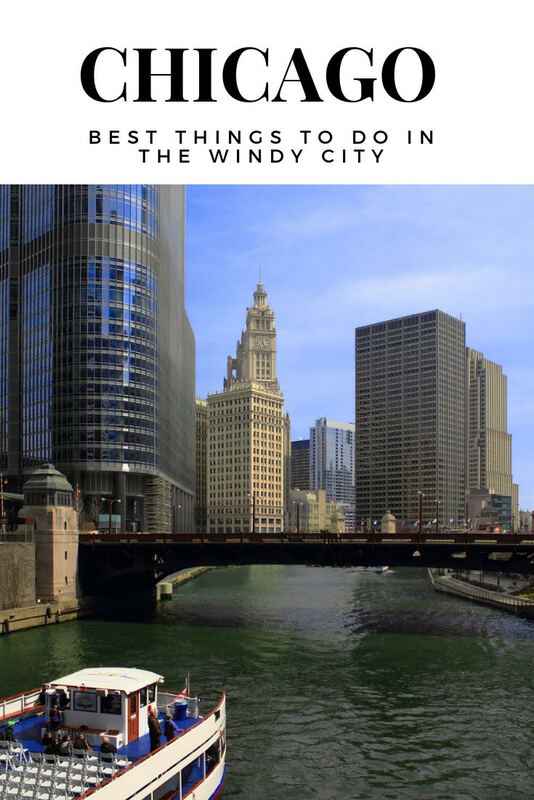 If you haven’t had the opportunity to visit this vibrant Midwest city, here are our recommendations for the top 10 things to do in Chicago with kids. Millennium Park is 25 acres of open land in the heart of the city. 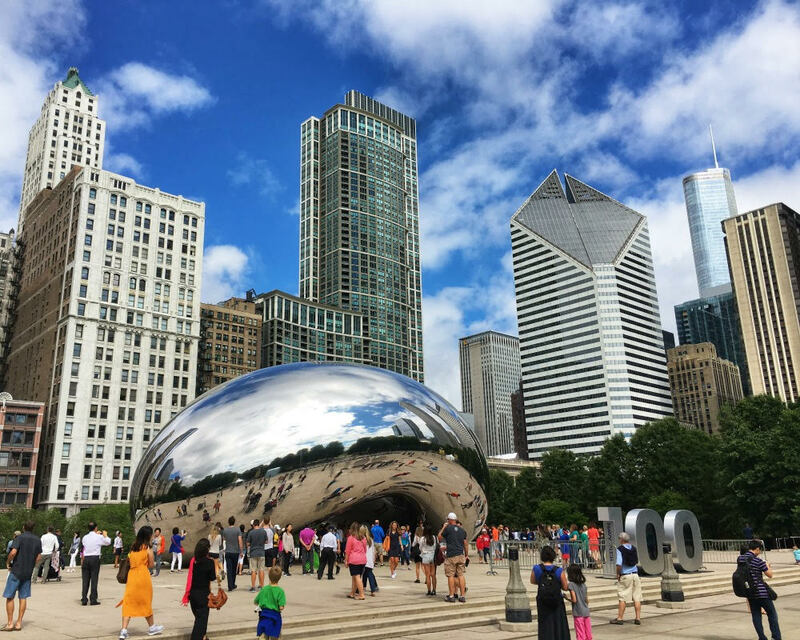 This is where locals and tourists alike gather around the infamous Cloud Gate sculpture (also known as “The Bean”) and Crown Fountain (two 50 foot towers with video screens that shoot water on visitors walking below). It’s also the home of Jay Pritzker Pavilion, an outdoor amphitheater known for its summer concerts and movies on the lawn. Children of all ages will love the adjacent Maggie Daley Park with 20 acres of playgrounds, a climbing wall, and an ice skating ribbon in the winter. The Art Institute of Chicago has been ranked the top museum in the world four years in a row, but it isn’t the only museum in town. Other favorite museums that shouldn’t be missed include the Museum of Science and Industry (housed in the buildings from the 1893 World’s Fair), the National Museum of Mexican Art (a beautiful look at the culture and their artwork), American Writers Museum (very hands on and well done), and the Chicago Children’s Museum (perfect for families). This former train track has been converted to biking and walking paths. The trail covers just over 2.5 miles and features art installations and small parks along the way. There are bikes to rent nearby, or just use your two feet and take a run or walk. Grab a bite to eat at one of the many restaurants in the area when you’re done. No matter the time of year, nothing beats seeing the city or sunset views from the top of one of the buildings downtown. Many restaurants offer drinks and dinner, and many downtown hotels also have rooftop restaurants and bars. Our favorites are: Cindy’s, Loews Streeterville Social, Upstairs at the Gwen, and London House. A few are kid friendly during the day and some even have games to entertain them. One of the best ways to see the city is from the water. Many tours leave from Navy Pier and head out on Lake Michigan. Boats come in all shapes and sizes from sailing to speed boats and run all hours of the day. 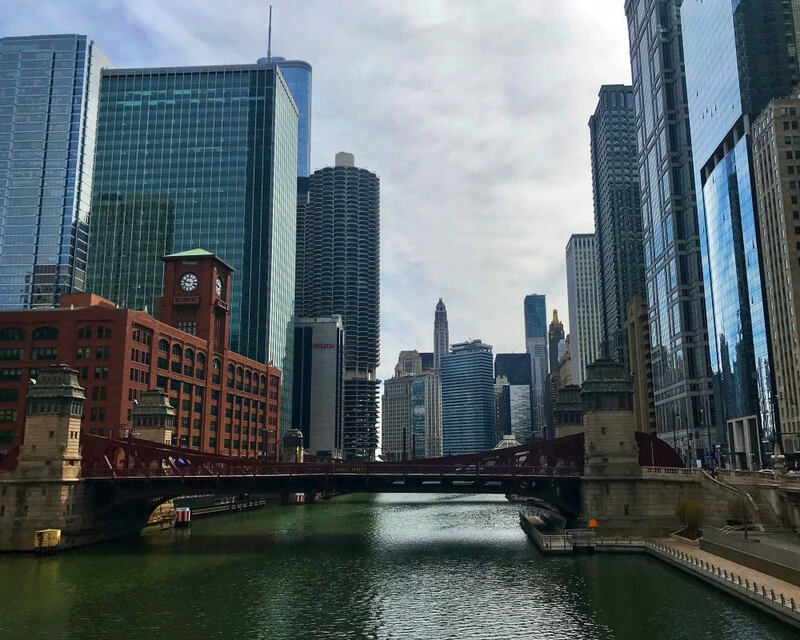 If the city’s architecture is of interest, don’t miss the Chicago River tour led by the Chicago Architecture Foundation. It’s the perfect way to learn about the Chicago’s history and its influence on architecture around the world. More adventurous souls should take a kayak tour of the Chicago River, which provides equally awesome views, but require some extra horsepower of your own making. Chicago loves its sports teams, and visitors to the city should make time for a game. The Chicago Cubs are a favorite, as a day spent watching baseball in Wrigleyville will make any non-believer a fan. Football fans love seeing the Chicago Bears, while basketball aficionados can enjoy the Chicago Bulls. One of the other hometown favorites is the hockey team the Chicago Blackhawks, who have six Stanley Cups under their belts, and are always fun to watch. 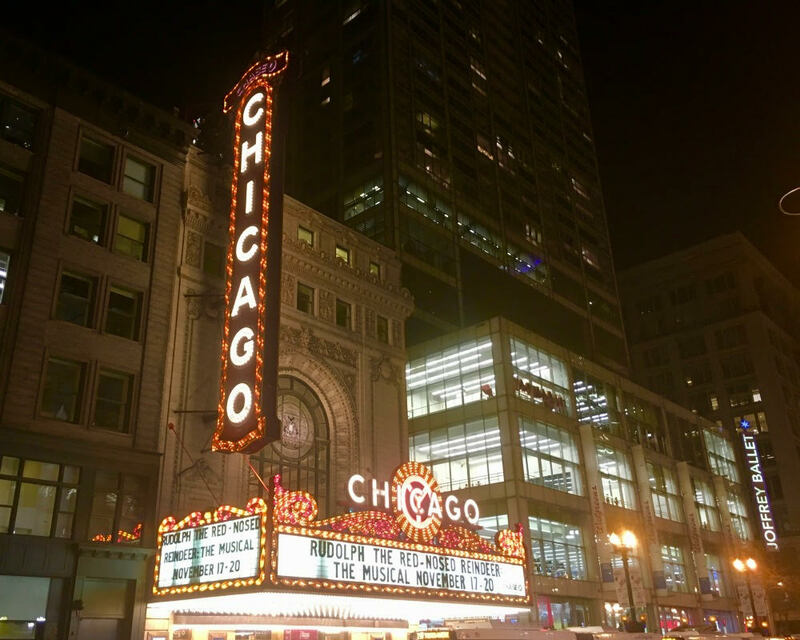 Chicago has over 250 theater groups in the city, and its productions rival any other major city around the world. Some of the favorites are the Blue Man Group, Second City Comedy show, and any of the Broadway in Chicago performances. With such a large variety of shows and venues, there is always something for everyone. It wouldn’t be a visit to Chicago without partaking in its most famous food, deep dish pizza. Locals and visitors alike can’t seem to agree on a favorite, but in our opinion, there is no bad choice. Try one (or more) of the following: Lou Malnati’s, Giordano’s, Pizzeria Uno, Pequod’s, or Chicago Pizza and Oven Grinder Co. It can be hard to choose a favorite, but it sure is fun to try! There are two places to go in Chicago for the ultimate city views, the John Hancock Building and the Willis Tower. At the John Hancock Building an elevator takes riders to the 94th floor and offers views of Lake Michigan and up to four states (Wisconsin, Michigan, Indiana, Illinois) on a clear day. The building is also known as 360 Chicago and offers a unique thrill ride, TILT. On this ride, guests step into a window box and the box leans away from the building (94 floors above the ground) to a 30 degree angle. It’s a bit unnerving, but quite fun. At the Willis Tower there’s a glass box built outside the building called the Skydeck, towering 103 floors above Michigan Avenue. This is the tallest building in the Western Hemisphere, and brave souls can step into the box and see city views on all sides. This is not for the faint of heart. Lakefront Path runs twenty eight miles along Lake Michigan and it’s perfect for a bike ride or walk any time of year. 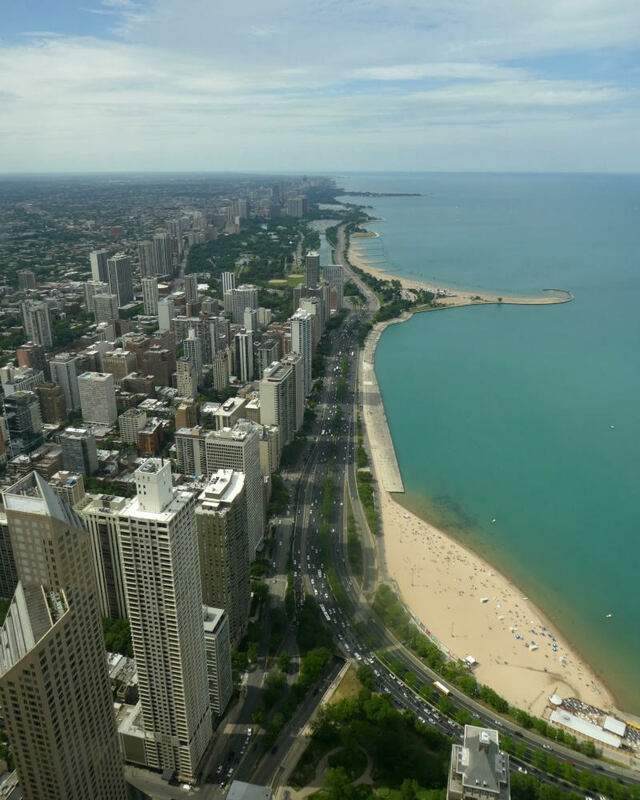 During the summer, spend time at North Avenue Beach playing a game of volleyball or rent a bike at Oak Street Beach. If you want to rent a kayak and head out on Lake Michigan, head to Montrose Beach. Chicago may not have the warmest water, but the beaches make you feel like you’re really on vacation. Our “insider” tip for visiting our home town is use your feet to walk and see the sights or use local transportation. It’s cheap and easy to use. The best family-friendly restaurant is Portillo’s Hot Dogs or Shake Shack. Be sure to try this kid-friendly local dish/ food Chicago deep dish pizza from Giordano’s or Lou Malnati’s. The easiest way to get around with kids is by Uber or Lyft. The best family-friendly neighbourhood to stay in is River North. What a fab list. Thanks to Kirsten for sharing her favourite family friendly spots in Chicago with us!! If you’d like to see a city featured in this post please do let me know in the comments below… and if you’d like to write one about your own home town I’d LOVE to hear from you so drop me an email. Kirsten Maxwell is the Chicago based editor of Kids Are A Trip, a travel website inspiring families to explore the world with their children. She believes travel is an education and feels fortunate she can teach her three boys about different cultures as the family has traveled to 25 countries and counting. 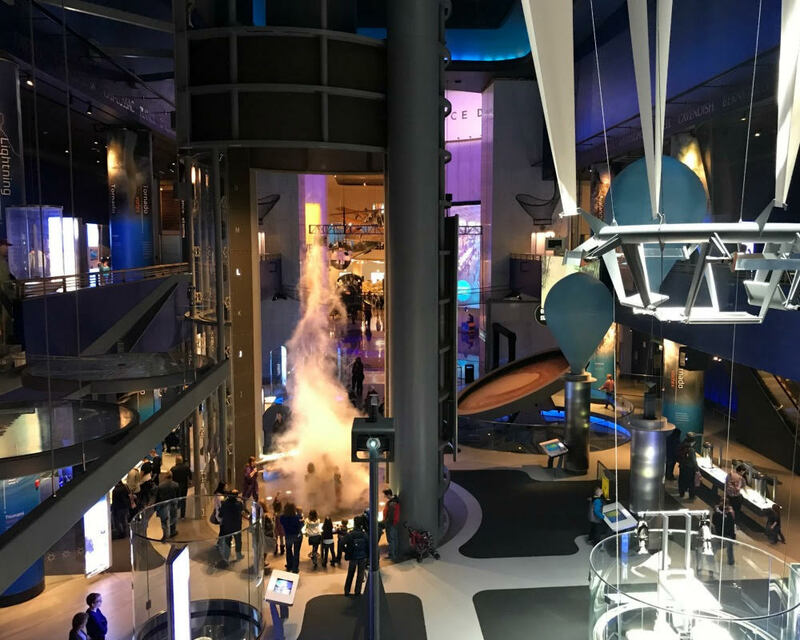 After traveling as a family for 15 years, she has learned to find those off-the-beaten path experiences while still finding time to explore the popular attractions. Find her on Instagram, Facebook, and Twitter at @kidsareatrip. We love Chicago and have been there several times with kids! There are so many fun things to do. Our kids’ favorites were the Field Museum, the Adler Planetarium and Navy Pier. Somehow, it’s been two years since our last trip. We need to remedy that….